UpFront with NGS: Commemorate 4th of July by Signing the Genealogists’ Declaration of Rights -- We Need Your Support! Commemorate 4th of July by Signing the Genealogists’ Declaration of Rights -- We Need Your Support! Did you know that a date of death is no longer added to the Social Security Death Index until three years after the event occurs? Did you know the State Vital Records Officers have a Model Act which if passed in your state will close access to birth record for 125 years, marriage records for 100 years, and death records for 75 years? GENEALOGISTS NEED TO WORK TOGETHER AND SPEAK-UP IF WE ARE TO REVERSE THESE RECENT TRENDS! We need to let Congress and our state legislatures know that genealogists need access to public records and GENEALOGISTS VOTE! You can help by signing the Genealogists’ Declaration of Rights and by asking the societies to which you belong to encourage members to also sign the Declaration. 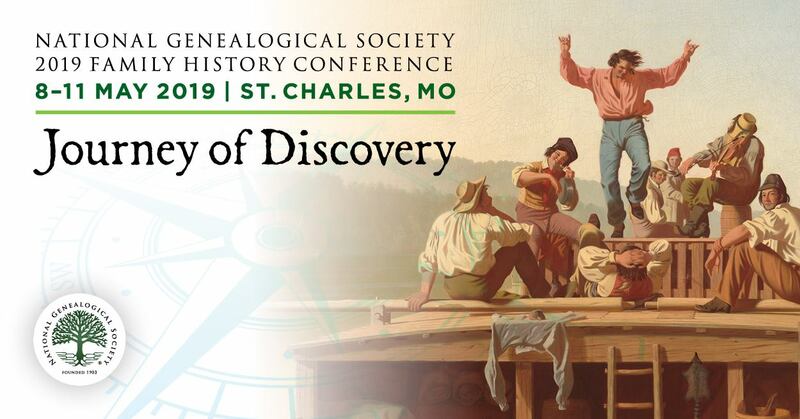 The Records Preservation and Access Committee (RPAC) has obtained 8,000 signatures over the last year including more than 1,500 at the national genealogy conferences, over 2,300 at regional, state, and local societies, and 4,100 online signatures. WE NEED 10,000 SIGNATURES BY THE END OF 2015 FOR GENEALOGISTS TO MAKE A STRONG STATEMENT IN SUPPORT OF OPEN ACCESS TO PUBLIC RECORDS. We need YOU to sign the Declaration. Take five minutes and sign at http://bit.ly/gen-declaration. Spread the word! Take a copy of the Declaration signature form to your local society and obtain more signatures. The signature form for organizations can be found on the RPAC Blog at www.fgs.orgrpac/wp-content/uploads/2015/06/DeclarationSignaturePageOrganizational-2015-.pdf. Keep reading if you want more details about how access for genealogists has been restricted this year. There’s bad news, but there’s good news, too. · Section 203 of the 2013 Bipartisan Budget Act, which went into effect 29 March 2014, closed access to the Death Master File (used by genealogists as the Social Security Death Index) for three years after an individual’s death. Access during the three-year embargo is limited to persons certified by the Commerce Department. Certification costs $400; the annual cost to access the data is $995; the available data is limited; the search engine inadequate, and new audit and security requirements will make access unaffordable by even professional genealogists. · Since 1 November 2011, the public DMF/SSDI has omitted those deaths which were reported only by states. The Social Security Administration also omits geographic data, although data aggregators such as Ancestry have been able to add data such as state of issue back into the SSDI based upon the first three digits of the SSN. · Genealogists have had no access to death records in Oklahoma since a version of the 2011 Revision of the Model Vital Statistics Act was passed in 2012. Efforts to amend the law and provide access to attorneys did not make it out of committee in the 2015 legislative session. · The Kansas Supreme Court has a proposed Rule 106 which would redact the mother’s maiden name, date of birth, and city and state of birth from marriage licenses. RPAC and Kansas genealogy organizations have written the court but the procedures for implementation of a judicial rule are not clear so RPAC is continuing to follow up. · Death Records in Virginia are closed for only 25 years. Images of Virginia Death Records 1912-2014 and Marriage Records 1936-2014 are available at the Library of Virginia and on Ancestry.com through 1987. See the 14 June 2015 RPAC Blog post, “Virginia Vital Records Online,” at http://www.fgs.org/RPAC for more details. · Pennsylvania death records have been digitized from 1906 to 1963 and are also available in the state and on Ancestry.com. Pennsylvania death records are closed for 50 years. · The Michigan State Archives has recently added free digitized copies of death records from 1921-1952 to its earlier collection of imaged death records from 1897-1920. For current updates on access issues check the RPAC Blog at http://www.fgs.org/RPAC. + Genealogists' Declaration of Rights -- We Need Your Support! Individuals & Societies Are Encouraged to Spread the Word!